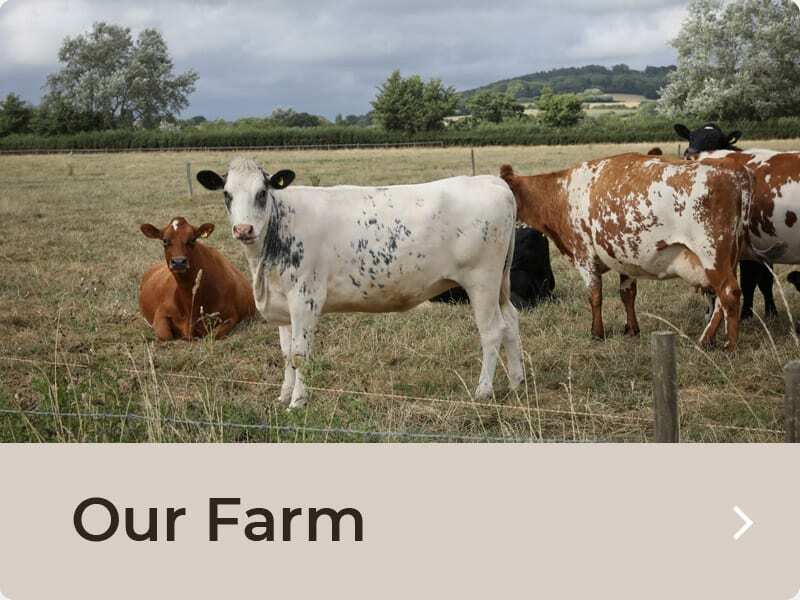 We’d like to welcome you to Caalm Camp, our family-run rural retreat in the heart of the Dorset countryside. 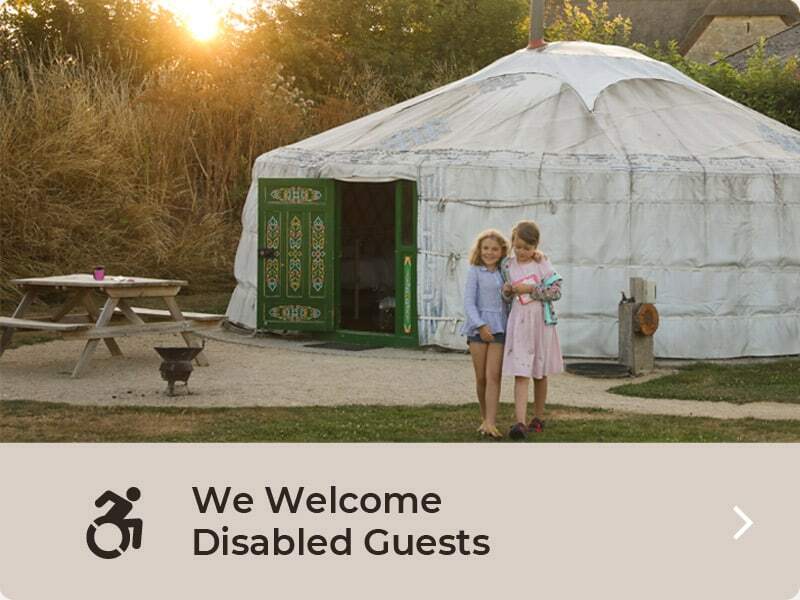 We have taken the very best things about camping in the South West of England (fresh air, lovely views and eating al fresco) and added comfy beds with fresh white linen sheets in our pretty hand-painted Yurts from Mongolia. 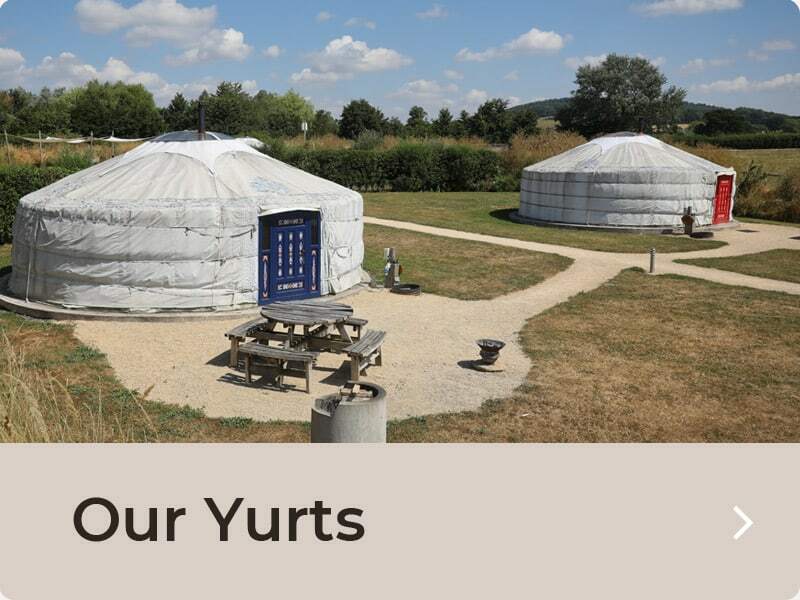 We have six traditional Mongolian yurts available to rent, situated in a peaceful field on our former Dairy Farm. 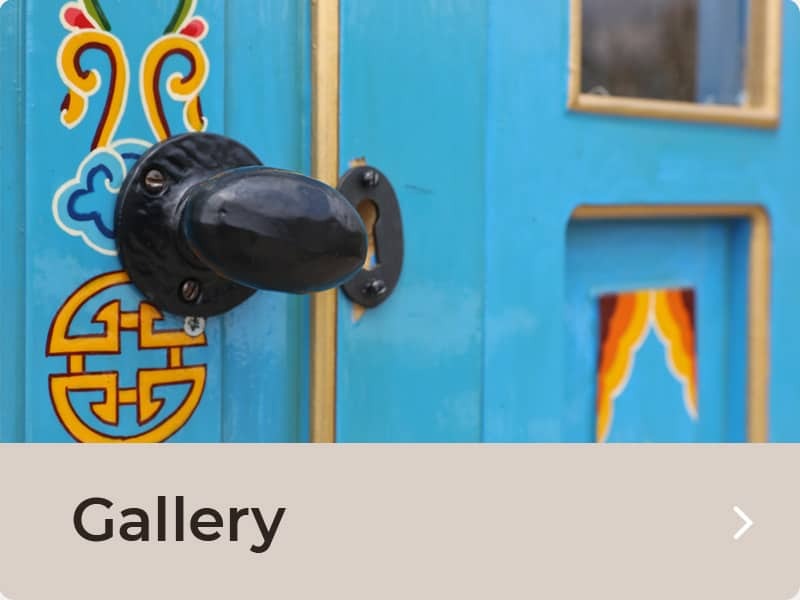 Each yurt is gaily painted in the Mongolian style. Inside they are beautifully equipped and furnished and sleep up to six. (Travel cots are available on request). We also have a holiday cottage that sleeps four people – call us to check availability. Each yurt has its own luxury private shower room and toilet situated in the Old Hay Barn, and use of a brand new fully equipped kitchen complete with an individual fridge for each yurt – perfect for preparing a picnic or cooking a hearty farmhouse breakfast! Lie back and look up at the stars while you toast your toes in front of your woodburning stove, or gather with friends or family to enjoy a barbecue in your own outdoor seating area. Children can scramble about on our wooden play equipment, get closer to the wildlife (we have regular deer, rabbits and pheasants as visitors!) and you can relax knowing the area is securely fenced in and safe for children to play. Whether you want a relaxing holiday lazing about or to use us as a base for exploring Dorset, Somerset and Wiltshire, you’ll find Caalm Camp offers the perfect way to unwind at the end of each day – watching the sun go down as you toast marshmallows round the fire pit before retiring to your yurt for a cosy and comfortable night’s sleep. We’re open all year round for long weekends, mid-week breaks or full week-long glamping holidays – have a look round our website and don’t hesitate to call us if you have any queries. Because we are a farm and have livestock, we are sorry but we do not allow dogs at Caalm Camp. There is no smoking in the Yurts or The Old Haybarn. Enjoy a UK Glamping Holiday at Caalm Camp in Dorset! Voted No 1 Glamping Site in South West England 2017.